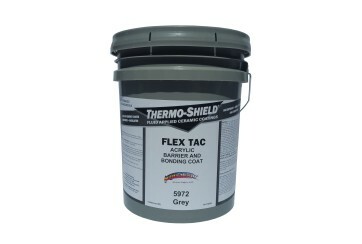 Thermoshield Tank Shield is a highly efficient, flexible coating that is designed to protect and lower the external surface temperature of storage tanks. It is non-toxic and friendly to the environment. 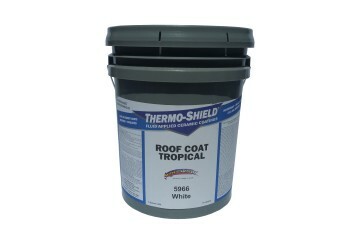 It is washable and resists both harsh chemicals and dirt pick-up. This water-based coating is made from an acrylic resin combined with vacuumed ceramic microspheres. The resulting compound creates a thin, thermally-efficient blanket. 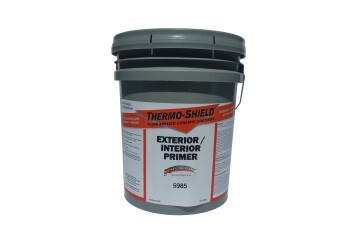 Thermoshield Tank Shield is also fire resistant. Tank Shield is available in a variety of different colors. It dries into a matte finish that can be made glossy with an additional application of Thermoshield Clear Coat. 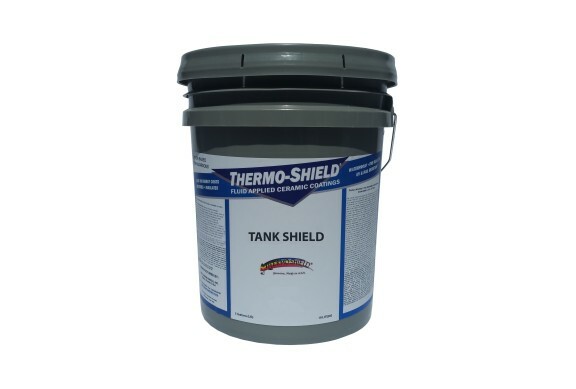 Tank Shield can be used to reduce the surface temperature of metal storage tanks, petroleum pipelines, water tanks, grain storage silos, and most chemical storage tanks. This coating is resistant to 26 different harsh chemicals. It can adhere to steel and a wide variety of other substrates, including wood, urethane foam, galvanized steel, aluminum, concrete, asbestos and many other materials. All surfaces to be covered must be clean and free from rust, dust, dirt, oil or grease. The surface must also be smoothed with a sander or wire brush to remove any chips or loose paint. A rust inhibitor, such as Thermoshield Rust Converter, should be applied to rusty areas. Each container should be stirred thoroughly at low speed before use. Thinning is not required, but clean water in amounts of up to 0.24 Liter (1 cup) per gallon may be added to replace evaporation losses or to adjust for spray equipment configuration. Coatings remain flexible down to -45.6 degrees C and up to 204.44 degrees C.
Adhesion : Excellent adhesion to steel and a wide variety of substrates: wood, urethane foam, galvanized steel, aluminum, concrete, asbestos and many others. Primer : Use alkyd or epoxy quality primers where required and/or rust inhibitors to make sure rust will not be present during the application of the coating. 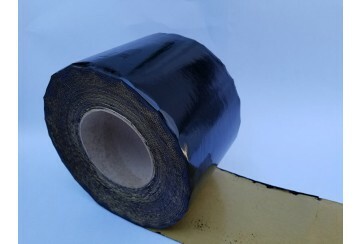 Two to three coats (minimum dry film-build of 380 microns with a minimum of 30 microns at any location) will give the best long term protection at minimum cost. Roller or airless sprayer is recommended. Very small areas may be brushed. When Thermoshield Tank Shield is applied by brush, three coats are required for adequate protection. Airless Sprayer: Apply all coats in the same direction. Do not cross spray. Prime pump with water before attempting to spray Thermoshield Tank Shield. Clean tools and equipment with warm soapy water. 5 year warranty that is extendible to 10 or 15 years. The sole remedy for goods not in conformance with any warranty is replacement of the product. 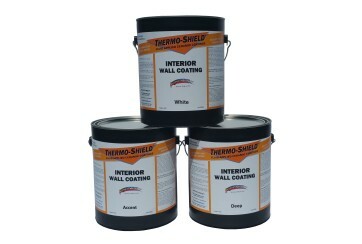 Thermoshield Inc. shall not be liable for any other damages, including, but not limited to labor expenses.